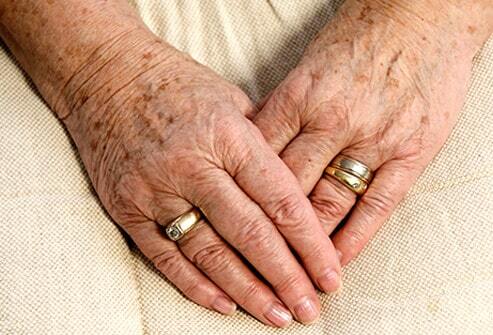 Skin Problems can contribute to poor mobility and pain. Allergies on the skin occur when the skin becomes inflamed and irritated from being exposed to or in contact with an allergen. If you suffer from allergies and it is affecting your ankles or feet, contact Laser Podiatry Associates for a comprehensive evaluation. Don’t wait! Laser Podiatry Associates is just a phone call away. Treatment can vary depending on the severity of the allergy or allergic reaction. Drs. Benjamin and Mullendore can recommend the proper course of action once an evaluation has been conducted. Athletes Foot (Tinea pedis) is a skin disease between the toes caused by a fungus. Treatment can vary depending on the history of the disease. Benjamin and Mullendore can recommend the proper course of action once an evaluation has been conducted. Blisters are small serum filled bubbles on the skin caused by heat, moisture, and friction. If you are suffering from blisters, contact Laser Podiatry Associates for a comprehensive evaluation. Don’t wait! Laser Podiatry Associates is just a phone call away. Treatment can vary depending on the history of blisters, the biomechanics and structural alignment of the foot. Drs. Benjamin and Mullendore can recommend the proper course of action once an evaluation has been conducted. Burning Feet or “pins and needles” in the feet is a common symptom of peripheral neuropathy. If you are suffering from burning feet, contact Laser Podiatry Associates for a comprehensive evaluation. Don’t wait! Burning feet can be indicative of a serious underlying disease. Laser Podiatry Associates is just a phone call away. Treatment can vary depending on the severity. Drs. Benjamin and Mullendore can recommend the proper course of action once an evaluation has been conducted. Calluses are areas of thickened skin that develops to protect the bottom of the foot from irritation. If you are suffering from calluses, contact Laser Podiatry Associates for a comprehensive evaluation. Don’t wait! Calluses, though not contagious, can become painful if they get too thick. Laser Podiatry Associates is just a phone call away. Treatment can vary depending on the severity of the callus. Drs. Benjamin and Mullendore can recommend the proper course of action once an evaluation has been conducted. Corns are areas of thickened skin that develops to protect the top of the foot or toe from irritation. If you are suffering from corns, contact Laser Podiatry Associates for a comprehensive evaluation. Don’t wait! Corns, though not contagious, can become painful if they get too thick. Laser Podiatry Associates is just a phone call away. Treatment can vary depending on the severity of the corn. Drs. Benjamin and Mullendore can recommend the proper course of action once an evaluation has been conducted. Cysts are abnormal fluid or semi-solid material filled sacs. If you are suffering from a cyst on your foot or ankle, contact Laser Podiatry Associates for a comprehensive evaluation. Laser Podiatry Associates is just a phone call away. Treatment can vary depending on the type and severity of the cyst. Drs. Benjamin and Mullendore can recommend the proper course of action once an evaluation has been conducted. Frostbite is a hypothermal injury sometimes leading to the loss of toes from cold-induced necrosis. 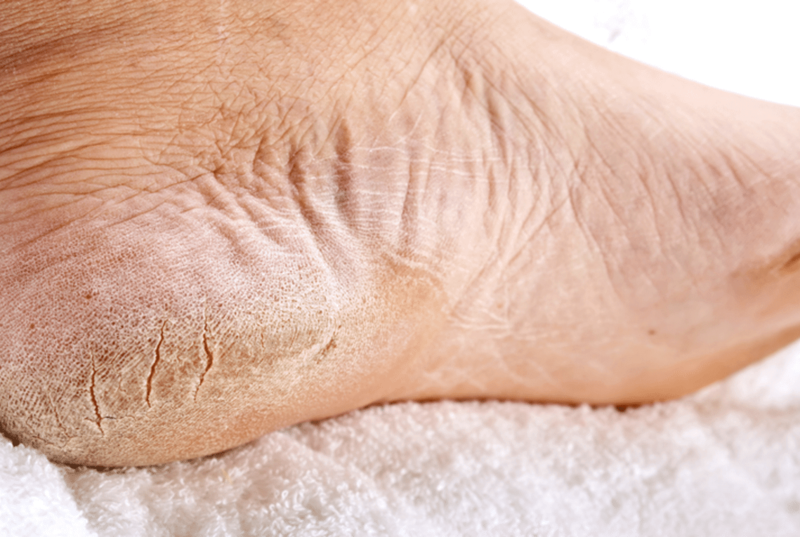 If you are suffering from frostbite, contact Laser Podiatry Associates for a comprehensive evaluation. Don’t wait! If left untreated, you may lose the affected toes. Laser Podiatry Associates is just a phone call away. Treatment can vary depending on the severity of the frostbite. Drs. Benjamin and Mullendore can recommend the proper course of action once an evaluation has been conducted. Fungus in the toenail or onychomycosis, is an infection underneath the surface of the nail. The nail becomes darker in color and has a foul smell. If you are suffering from toenail fungus, contact Laser Podiatry Associates for a comprehensive evaluation. Don’t wait! If left untreated, the infection can spread to other toenails, the surrounding skin or even the fingernails. Laser Podiatry Associates is just a phone call away. Gangrene occurs when there is a lack of blood supply to the tissue, thereby depriving it of oxygen resulting in death and decay of the tissues. If you are suffering from gangrene, contact Laser Podiatry Associates for a comprehensive evaluation. Don’t wait! Gangrene, if left untreated can result in amputation. Laser Podiatry Associates is just a phone call away. Treatment can vary depending on the severity of the gangrenous area. Drs. Benjamin and Mullendore can recommend the proper course of action once an evaluation has been conducted. Lesions are a region of the tissue where there is injury or damage to the cells. It can refer to a wart or corn or callus. If you are suffering from lesions, contact Laser Podiatry Associates for a comprehensive evaluation. Don’t wait! Lesions can become more severe and potentially cause pain or infection. Laser Podiatry Associates is just a phone call away. Treatment can vary depending on the severity of the lesion. Drs. Benjamin and Mullendore can recommend the proper course of action once an evaluation has been conducted. Psoriasis is a skin condition caused by the increase of skin cell turnover. New skin cells move to the surface so rapidly that the dead cells build up on the surface in dry, whitish-silver itchy patches. If you are suffering from reddened, irritated feet or think you have Psoriasis, contact Laser Podiatry Associates for a comprehensive evaluation. Laser Podiatry Associates is just a phone call away. Treatment can vary depending on the severity of the disease. Drs. Benjamin and Mullendore can recommend the proper course of action once an evaluation has been conducted. Smelly Feet (foot odor) is when your feet have an unpleasant odor. It can be a sign of a more serious condition. If you are suffering from smelly feet or foot odor, contact Laser Podiatry Associates for a comprehensive evaluation. Don’t fret, Laser Podiatry Associates is just a phone call away. Treatment can vary depending on the severity of the odor or the underlying condition. Drs. Benjamin and Mullendore can recommend the proper course of action once an evaluation has been conducted. Swelling is an abnormal enlargement of a part of the body, such as the legs, ankles, feet or toes. If you are suffering from swelling of the legs, ankles, feet or toes, contact Laser Podiatry Associates for a comprehensive evaluation. Don’t wait! Swelling can be a sign of a serious underlying condition. Laser Podiatry Associates is just a phone call away. Treatment can vary depending on the severity of the swelling. Drs. Benjamin and Mullendore can recommend the proper course of action once an evaluation has been conducted. Ulcers are open sores that can become infected if not treated. If you are suffering from ulcers, contact Laser Podiatry Associates for a comprehensive evaluation. Don’t wait! If left untreated ulcers can become infected and cause more acute problems. Laser Podiatry Associates is just a phone call away. Treatment can vary depending on the severity of the ulcer. Drs. Benjamin and Mullendore can recommend the proper course of action once an evaluation has been conducted. Warts are a soft tissue condition of the foot that can be painful. It is caused by a virus and can appear on the sole of the foot. If you are suffering from warts, contact Laser Podiatry Associates for a comprehensive evaluation. Laser Podiatry Associates is just a phone call away. Treatment can vary depending on the severity of the warts. Drs. Benjamin and Mullendore can recommend the proper course of action once an evaluation has been conducted.